Pest and Disease Management Handbook updates the 3rd edition of the Pest and Disease Control Handbook (1989). The structure of this important new book differs in several respects, acknowledging the advances that have been made in integrated crop management and the trends towards the more rational use of pesticides. Fully revised and up-to-date, the book commences with a new introductory chapter covering the principles of pest and disease management. 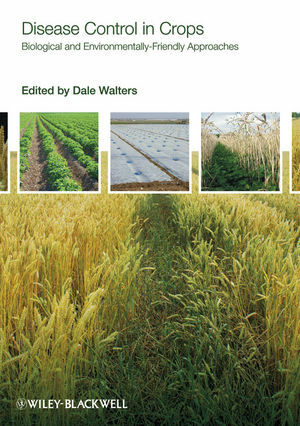 Following chapters, each written by acknowledged experts in the field, cover a group of major temperate northern hemisphere crops. 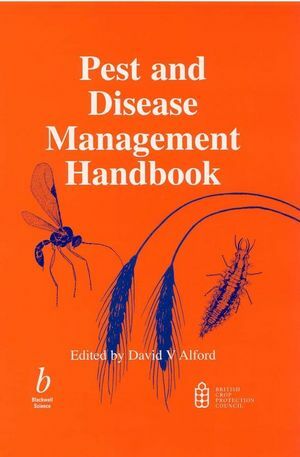 As well as comprehensive details of pest and disease management strategies, each chapter also includes a classification scheme for the cited pests and diseases. This important publication is a vital tool for all those involved in the crop protection / agrochemical industry including business managers, entomologists, agricultural scientists, plant pathologists and those studying and teaching BASIS courses. As an important reference guide for undergraduate and postgraduate students studying agricultural sciences, applied entomology and crop protection, copies of the book should be available on the shelves of all research establishments and universities where these subjects are studied and taught. Pest and Disease Management Handbook is published for the British Crop Protection Council (BCPC) by Blackwell Science. BCPC is a registered charity having the principal objective of promoting the development, use and understanding of effective and sustainable crop protection practice. Dr David V Alford, based in Cambridge, UK, is a member of the BCPC board, with many years' experience working as a government entomologist. David V. Alford is the editor of Pest and Disease Management Handbook, published by Wiley. 1. Principles of pest and disease management in crop protection. 2. Pests and diseases of cereals. 3. Pests and diseases of oilseeds, brassica seed crops and field beans. 4. Pests and diseases of forage and amenity grass and fodder crops. 5. Pests and diseases of potatoes. 6. Pests and diseases of sugar beet. 7. Pests and diseases of field vegetables. 8. Pests and diseases of fruit and hops. 9. Pests and diseases of protected vegetables and mushrooms. 10. Pests and diseases of protected ornamental flowering crops. 11. Pests and diseases of outdoor ornamentals including hardy nursery stock. 12. Pests and diseases of outdoor bulbs and corms. Selected Bibliography and further reading. Disease, pathogen and disorder index. "Of great value to those concerned with the agrochemical industry, crop protection, entomologists and students studying such topics."